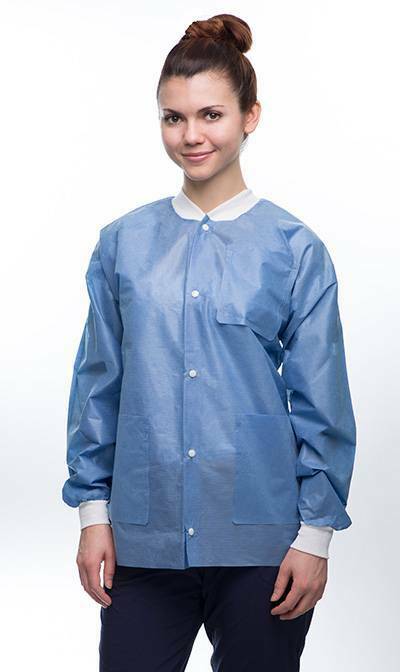 Durable medium weight unisex lab jacket made for protection and comfort with SMS material that is fluid resistant, highly breathable, and fire retardant. 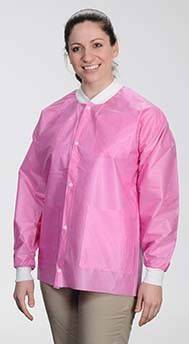 Super soft and super static free, no clinging and latex free. 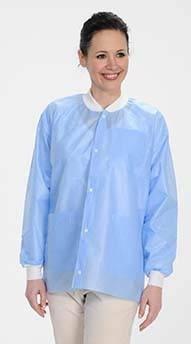 Comes in 5 attractive colors; Snap Front, 3 pockets, knit cuff & collar. 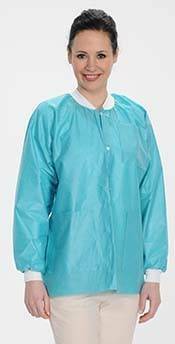 Medium Weight 3-Layer SMS fabrics. 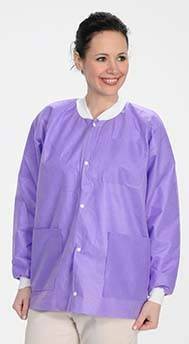 Autoclavable and washable up to 5 times.